New technology and manufacturing advancements are making modern caravans a lot safer to tow but you must always make sure you load your caravan correctly, as well as drive carefully if you want to maintain good towing stability. One of the first considerations for a stable towing experience is having the right tow car for your caravan so you have the perfectly matched outfit. Towsafe will help you match your car and caravan so you stay safe and legal. There are also a range of devices available to help even the most nervous of tow car drivers feel more confident. Here we offer some guidance on how you can improve your caravan’s towing stability, plus we look at some of the safety devices and systems available. Always load your caravan correctly. Avoid putting heavy items at the extreme ends of the caravan and in the high level lockers. Put weighty items on the floor and in the middle area of your tourer, as near to the axle as you can. Heavy items in high lockers might cause your caravan to lean badly when driving around bends. Try to carry heavy items in your tow car if you have room or secure them as near to the caravan floor as possible with straps. Cargo bars will also help to prevent items from moving around and minimise instability. Avoid too much or too little noseweight. Don’t have too much weight bearing down on the nose of the caravan and onto the towbar. Check your nosewight using a purpose weight gauge or a broom handle and set of bathroom scales. 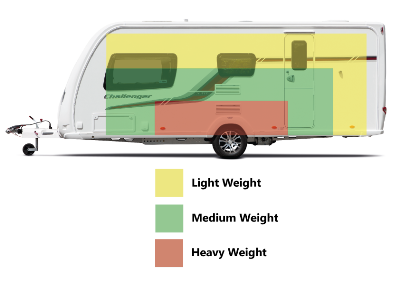 Click for our guide on how to measure your caravan’s noseweight. The correct noseweight for the caravan is the lowest of three noseweight figures: that of the caravan chassis manufacturer; that of the tow vehicle manufacturer; and that of the towbar manufacturer. A bike rack is best fitted to the front of a caravan as it’s less likely to affect the lateral stability. Where a rack is fitted to the back of the caravan be careful not to carry bikes which are too heavy. Remove black paint from your tow car’s towball to prevent damage to the caravan’s hitch stabiliser. Aim to hitch up on a flat surface so your caravan is in a horizontal position when coupled to the tow car. 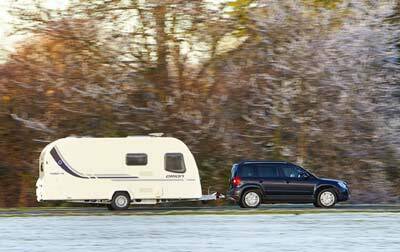 A correctly loaded caravan, coupled with a well matched two car and caravan, plus steady driving, should offer a stable towing experience. But other external factors might come into play, such as a sudden gust of wind, a pothole or unexpected bump in the road. That’s where devices such as a stabiliser or trailer control systems can offer that extra bit of stability. There are a number of stabilisers which grip the towball to help restrict the lateral movement of the caravan. 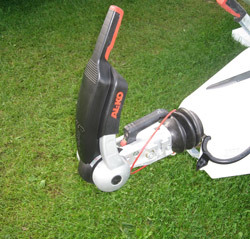 A blade stabiliser is attached along a caravan’s A-frame and clamped into a bracket by the towball. Any sideways movement is resisted by friction pads in the turntable. The friction pads on the turntable will wear over time and will need to be replaced. 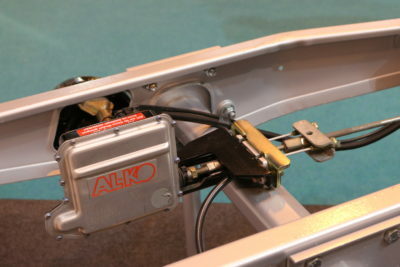 A hitch stabiliser, such as the Al-Ko 3004, will suppress lateral and pitching movements when towing via friction pads which grip a clean towball when the clamp is lowered. Similarly the friction pads on the BPW WS 3000 stabiliser will grip directly onto a grease-free towball to dampen down any unwanted movements. It’s important when using a hitch stabiliser to keep the towball free of paint, grease or oil and to periodically replace the friction pads when worn. This is usually detected by a groaning noise at the hitch head. Before retro-fitting a stabiliser make sure it’s suitable for your chassis and towball and clean your towball before every trip. Electronic trailer control systems work in a different way and help to control snaking – when a caravan swings from side to side. Sensors detect instability and apply the caravan’s brakes to bring the tourer back into line. There are two main electronic systems, also known as anti-snaking devices – the Al-Ko ATC and the BPW intelligent Drive Control (iDC). Both are commonly fitted to modern day mid or high range caravans but can also be retro-fitted to a compatible chassis. These systems draw power from the towcar’s electrics so it’s essential that your vehicle can supply enough power. Because these electronic devices can help to prevent snaking and help caravanners avoid an accident, we offer a 5% discount on your touring caravan insurance premium. A stabiliser or electronic anti-snaking device, will certainly help with safe towing but should be regarded as an extra safety feature to help if things do go wrong. You should always start with a well matched outfit and a correctly loaded caravan. Got any safe towing advice to share? Leave them in the comments box below. 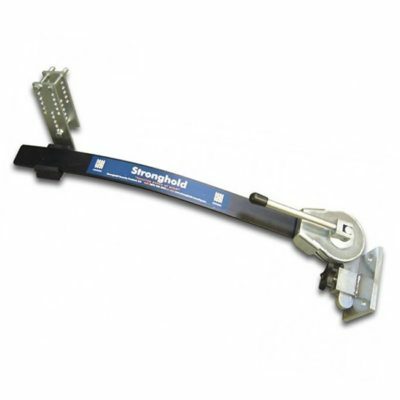 Shock absorbers fitted to the caravan will also have a positive effect on stability. We fitted a pair of Alko shock absorbers to our Bailey Pegasus and they’ve certainly made a noticeable difference. In addition to ATC and Al- KO 3004, I would strongly recommend fitting Tyron bands; in the event of a puncture (blow out) while driving they keep the tyre on the rim and prevent a roll over. Years ago I used to use a wing or air deflector on the roof of my Astra estate. It definitely gave me more mpg ( about 3 mpg) than without but also reduced the buffeting between the caravan and car making it a better towing experience. I haven’t seen them in use for years. Are they still legal? Are they still available? The deflection of the wind over the caravan roof seemed to improve stability particularly in poorer conditions. Further to the comment about having a spare wheel in the caravan, we had a blow out a fortnight back. On the M5. I had AA cover and had once asked them if they would cover us for a caravan breakdown, they said they would. It got put to the test on that day……and they were great. Arrived within half an hour and had the wheel on in no time. The funny bit was me and hubby knowing we had a spare, but trying to think where it was…. (underneath the caravan, accessed from under the carpets in the kitche area). I was taught when towing look in your mirrors. If you see something really big coming up behind you, move slightly out to the right of centre of your lane, as the big vehicle is closing on you, move back to the centre or slightly left of centre of your lane. You moving to the right makes the big vehicle keep to the centre or slightly right of centre of his lane, and as you move back to your centre, or left of your centre (as he passes) the gap between you is greater and can make it less likely to make your towed vehicle pitch. I used to use this method when towing horses and I use it towing a ‘van. Some good points from Adrian Solly. About the caravan spare wheel, do you have a suitable “jack” to lift the van or maybe call out the recovery people (check first to see if they provide this service). Be careful with point three about increasing the car tyre pressure. Only do this if recommended in the car manual. My car does not need different tyre pressures when towing. Great point about the car spare wheel. Most space savers aren’t suitable for towing. Mark is spot on with the shock absorbers improving the towing stability. Just be careful when you are towing if you come up behind a car transporter. The air displacement is all over the place and can quite easily unsettle the van. I suggest that you may like to read the first sentence of the paragraph above the heading Stabilisers. 1. Not only the weight match of car and caravan is important to stability. Look at the distance from tow hook to rear axle. The shorter the better, this will reduce the effect of forces (both horizontal and vertical) from the caravan on the car. 2. You have a spare wheel for your caravan. Do you have one for the car? Is it suitable for towing. 3. Increase the tow car’s tyre pressures. 4. Check caravan’s tyre pressures. Too low means more rolling resistance, poorer fuel economy and overheating. 5. Check that the caravan’s windows, doors, roof vents aerial (satellite), locker hatches and covers for fridge vents, water, gas and electric points are secure. Also torques of wheel nuts/bolts, It sounds obvious, but do you check when collecting from having a service carried out? Mechanics are not infallible. 6. When driving be more aware of your surroundings. Your car/caravan combination is probably almost double the weight, over double the length, wider and higher than your car alone. Try to anticipate the actions of other road users. 7. Use your rear view mirrors. Be aware of vehicles about to overtake especially on fast roads such as motorways. Big vehicles displace a lot of air. This acts like the bow wave of a ship. The higher the speed difference between them and you, and the closer they pass, the greater is the effect on the rear of your caravan. You can minimise this by moving over to open the gap. My car (yeti) & caravan (Bailey pursuit 550/4) are an 88% match, so slightly higher than I would’ve liked; it tows fine with loads of power but I found it slightly choppy. I firstly fitted atc, which didn’t affect the ride quality but gave me a little more peace of mind; I then fitted the Alko shock absorbers and… wow..! This has had the biggest difference of all. Utterly faultless – highly recommended. You haven’t mentioned the “straight liner” as an option stabiliser. A very good piece of kit which came after the “Trapezium” was taken off the market due to it not being “E” approved.